Interested in climbing but not sure where to start? We’ll introduce you! Book your FREE 30 minute introduction to climbing class. Aesthetic Climbing Gym boasts some of Southern California’s best indoor rock climbing with ten distinct bouldering features and over 2000 square feet of bouldering terrain. With recently upgraded and expanded top rope and lead climbing, we are also now home to about 75 rope routes over 5,000 square feet of terrain. We offer indoor rock climbing day passes and membership as well as gear rentals. Stop by for a clinic, a shoe demo, or just for a climb. ACG hosts birthday parties, group events, and ABS competitions – be sure to check the calendar or our Facebook page for the latest clinics, competitions, and other events. We are also proud of our youth climbing team, who has made it to nationals the past three years in a row. Bouldering, top rope, and lead are quite different - there's something for everyone. Bouldering and rope routes each have different scales on which difficulty is graded - we'll make sure you know how to choose the routes that are right for you. Safe climbing includes knowing how to fall properly, how to spot other climbers, being aware of your surroundings and other climbers, and making safe decisions. 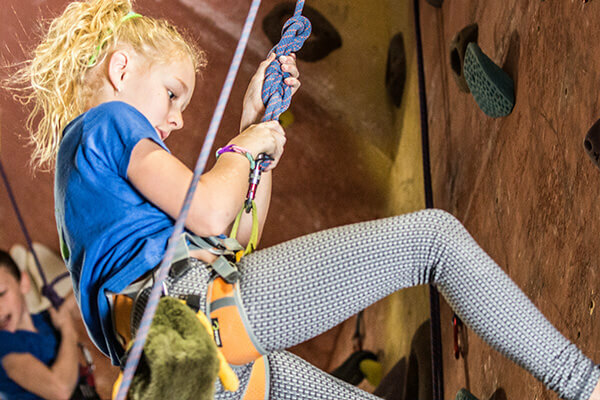 We'll introduce to climbing basics including climbing styles, different types of wall features, common language you may hear people using in the gym, and more. 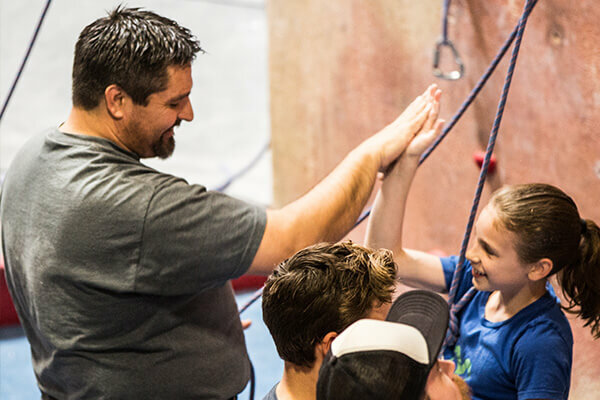 Learn how we approach route-setting and climbing, layout of the gym, activities and resources available, and meet the owners. Aesthetic Climbing Gym was founded by Trevor Arndt, Dillon Arndt, and Jeremy Meza in 2012. The Arndt brothers met Jeremy in 2008 and the three college students quickly became close friends through their shared climbing adventures and similar outdoor lifestyles. Through shared experiences and combined knowledge of construction, the Arndt’s and Meza set out to pursue their dream of opening one of the top climbing facilities in Orange County. It took over 4 years of going to meetings with investors, accountants, marketing specialist, and business gurus for the planning of ACG to go underway.It took 3 months of long days and endless nights for Aesthetic to be fully constructed and doors were finally open on September 2, 2012!! Since then, the three founders have continually sought ways to expand the facility and keep raising the bar on what should be the ultimate indoor climbing experience. ACG was named the best climbing gym in Orange County in 2014 by the OC Weekly and currently ranks amongst the top gyms in all of Southern California. Day passes are typically $15, but for your first visit you can book a free intro class and then decide if it’s for you. Check our Come Climb page for more info on prices. The gym is open from noon to 11pm Monday through Friday, 10am to 10pm Saturday, and 10am to 6pm Sunday. What kind of climbing do you offer? We offer bouldering, top rope, and lead climbing. We also have clinics for each type of climbing. How long does someone typically spend climbing at the gym? Most members and guests spend about 1-3 hours climbing, which includes some rest time and occasionally a game of ping pong or foosball! Try to climb at the gym 2-3 times a week if you want to see improvements. We never say climbing is “easy” but there are very doable routes that you can accomplish within a session of climbing if you stick your mind to it. 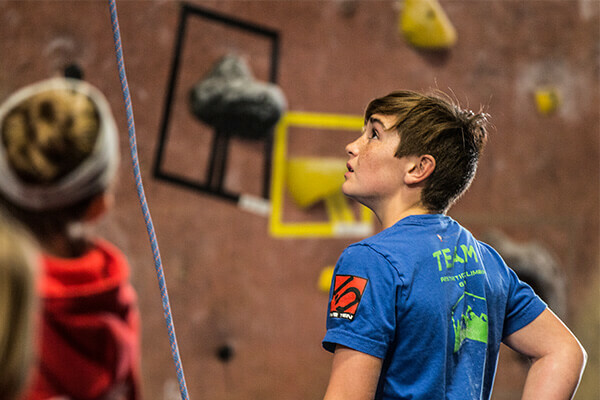 The gym has routes for every level of climber and every level of interest. Here I have found my tribe, a family which has fostered character and shown me care. Identity is more than just a name. I see the world through artisan eyes and walk the warriors way, ACG inspires lonely hearts to grow deeper roots.